The New Yorker did an article a while back that claimed that the jump shot brought individualism to basketball. Each shot is different and unique to the player, and each shot demands the right shoe. You need a responsive shoe that rebounds. Having the wrong shoe just isn’t an option for serious point scorers. We’ve done the research and picked through all the best basketball shoes to find the ones that are going to put some bounce in your step. Here are the best basketball shoes for jumping to help you move across the court and make the perfect shot. 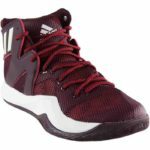 When you want the performance from your shoe to align with the work you put in on the court, these basketball shoes will help you perfect your jump shot. 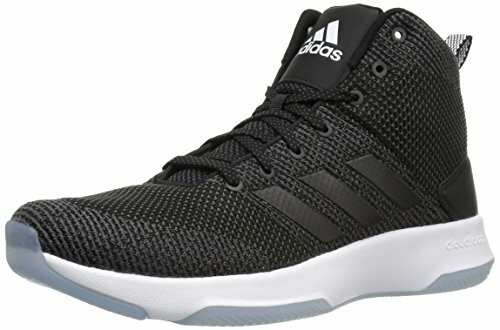 This Adidas shoe explodes with performance, with a textile and synthetic upper, rubber outsole, and an incredibly responsive midsole. The upper of the shoe is made of Xeno, which is a material that conforms to your foot to bend as you move. A textile lining ensures the inside of the shoe doesn’t irritate your foot, while an improved lacing system holds it fast to your foot, so it doesn’t slide around on the court. 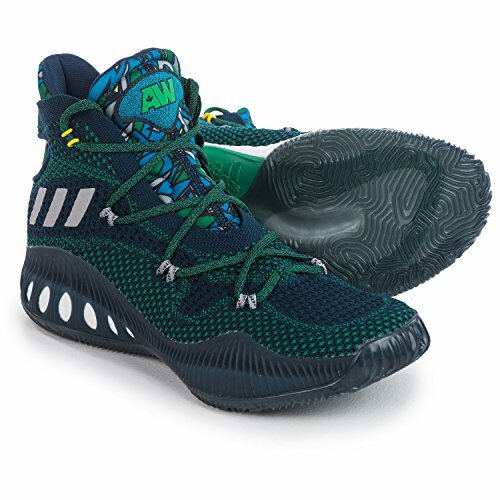 Inside the Adidas Performance Men’s Crazy Explosive Basketball Shoe, a Boost cushioning system provides the bounce that you need on the court. It rebounds as the sole of your foot hit the courts, absorbing the energy and putting the energy back into your footwork. It also works with the rubber outsole to cushion your joints after that initial impact, so your feet don’t feel fatigued after a long day running up and down the court. The high-top style of this shoe allows it to provide excellent all-around support, protecting your ankles from injury. Another great feature is the competitive pricing—with many great features at a lower price than some of the competitors. They are also true to size. Even with the updated lacing system, the eyelets sometimes break on the shoe, however, you will get at least six months of wear or more before this happens. The arch support is also not sufficient for people with high arches. If you want support and comfort through your jump shots and running up and down the court, these basketball shoes will meet your demands. Made of lightweight and supportive materials, the full-length Micro G foam in the insole cushions your landings and propels you forward. 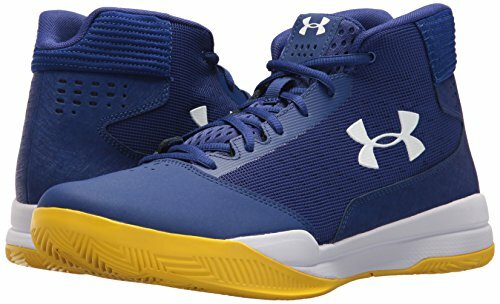 The thing that sets the Under Armour Men’s UA ClutchFit Drive 3 Basketball Shoes apart from others on this list is the ClutchFit technology. If you have trouble finding a shoe that locks your foot to the outsole and moves with you through your jumps, this will give you the perfect fit. The ClutchFit technology in the upper of the shoe is designed to offer breathable, flexible support and the bear-trap lacing system locks your foot into place. Inside the shoe, Achilles pillow cushioning provides added support and comfort around the heel and ankle, while an OrthoLite sock liner conforms to the shape of your foot. As an added benefit, it is anti-microbial to prevent odors if your feet get sweaty from intense play. This sits on top of a Herringbone outsole that has insets shaped like diamonds for explosive movements and traction from any angle. Even though this shoe is lightweight and flexible, it is a little on the bulky size. The outsole is also a little firm for some people, despite the cushioning. The upper of this shoe is constructed of a Nubuck and mesh upper. The Nubuck allows for a highly durable shoe that will conform to your foot after a few wears, while the mesh allows the shoe to remain breathable, so your foot doesn’t become sweaty on the court. There is also a Phylon midsole that adds to the flexibility and comfort of the shoe while providing an energy return to help with your jumps. Inside the NIKE Men’s Air Versatile Nubuck Basketball Shoes, there is a padded Achilles notch, which improves the lockdown and adds comfort. The shoe is also constructed with the heel sitting lower the top line, which increases stability. Additionally, there is an internal half-bootie that works with the tongue to secure your foot and provide a sock-like fit. In addition to the Achilles padding, there is an Air Sole underfoot that cushions your heel when you come down hard on the pavement or basketball court. This also gives you the rebound that you need to transfer that energy into your jumps. With the Nubuck, the shoes are more durable, but they also have a break-in period before the shoe stretches to fit the top of your foot well. Additionally, the shoe squeaks slightly, especially when it is new. Champion is known for their high-quality sporting equipment and now there are shoes to match. 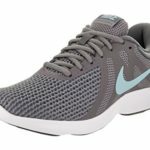 These shoes have a fabric and mesh upper designed to remain flexible and let your foot breathe. They are designed with a mid-top style to provide ankle support without being overly bulky. 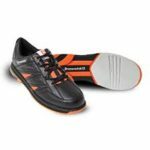 For comfort, it has a padded collar and padded insole, which help secure your foot while providing support and softness. They are a great shoe on the basketball court, as well as for everyday wear. The non-marking outsole has a multi-directional grip that moves up and around the shoe, even being visible when standing in front. This gives you traction even when you are toeing off the court. It Champion Men’s Inferno Basketball Shoe also rebounds upon impact, absorbing shock and helping you get the most from your jumps. The toe area of this shoe is a little narrow, which can be problematic if you rely on the ball of your foot for balance and spread your toes while jumping and running around the court. Additionally, even though the traction is great, it takes a while for it to break in and the coating on the outsole can make you slide when the shoe comes out of the box. These street-tech style shoes look sharp and help you perform great on the court. It features a mid-top design that provides great ankle support. The upper is constructed of textile and synthetic materials, with a lacing system designed to help the shoe conform to your foot. 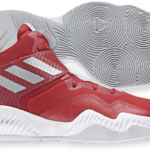 Inside the Adidas NEO Men’s CF Executor Mid Basketball Shoes, Cloudfoam cushioning cradles your foot and provides the energy return you need when jumping. The inside of the shoe also accommodates wide feet without rubbing or causing blisters. They work well as an everyday shoe, in addition to keeping your feet comfortable on the court. The outsole is made of a rubber material. It has a natural curve near the toe, which lets the shoe guide your foot with the follow-through on the court. The outsole also provides great traction on the court, helping you grip the court and launch off in any way that you want. It is flexible enough to bend and move with your foot as well. These shoes do run about a size too small, so you may need to order a size up. There are also quality control issues, especially regarding the durability of the shoe. This lack of durability is caused by unauthorized sellers in the market. This shoe brings together materials like leather and ethylene vinyl acetate, using textile and synthetic materials to create the perfect upper for the shoe. It will conform to your foot, without being too tight or rubbing. The materials used also increase breathability and durability. The breathability is enhanced with a ventilated mesh midfoot panel. 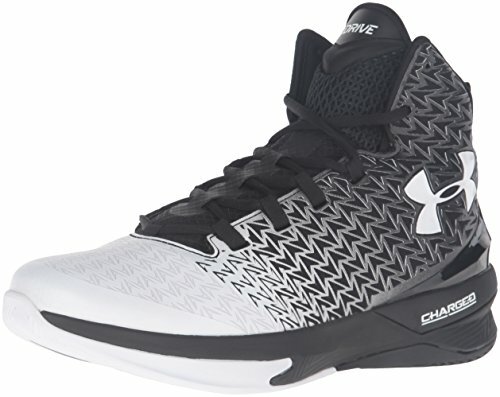 The Under Armour Men’s Jet 2017 Basketball Shoe has a die-cut EVA sock liner inside to add to support and cushioning of the shoe. 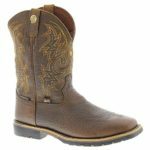 Additionally, it is constructed with extra cushioning around the ankle collar, to help the shoe hold fast to your foot. The shoe is also flexible and able to move all-around, so the support does not get in the way of your footwork on the court. This shoe also features a toe cap that curves upward, preventing your foot from dragging and improving the durability of the shoe for your jump shots. It has great traction to help you as you travel up and down the basketball court, giving you a great liftoff in the direction you are trying to move in without giving away your moves to defenders. The toe of the shoe can be a little tight for some people, which is problematic for the type of support you need when playing basketball. Additionally, the overall construction of the shoe is a little narrow. This shoe does not fail to deliver on the high-quality and great features that you expect from NIKE. It has a designed with a mid-top style that gives incredible ankle support when you are coming down from big jumps. A plush mid-top collar wraps around your ankle to add to comfort and support while improving the fit of the shoe. The upper is made of a synthetic material is lightweight and supportive. 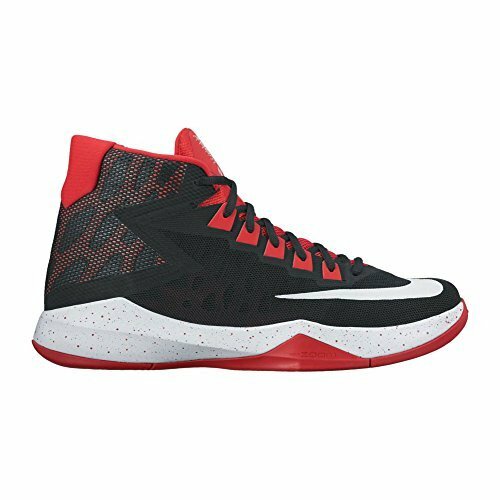 The NIKE Men’s Zoom Devosion Basketball Shoe is designed with a Forefoot Zoom Air unit. This provides the cushioning and rebound that you need to improve your jump. Its responsiveness lets you move effortlessly around during basketball play. The sole is made of a rubber material that increases your rebound. The traction also grips the court tightly from any angle, which gives you the liftoff you need to move across the court regardless of which direction you are moving in. This shoe has a narrow fit that does not always accommodate wide feet well. They are also not a good choice for people who overpronate since the base moves with your foot and will roll inward if your foot naturally rolls inward while walking. However, you can improve this by buying a half-size up and adding an insole. Basketball is a sport where you do not want any old sneaker on the court. 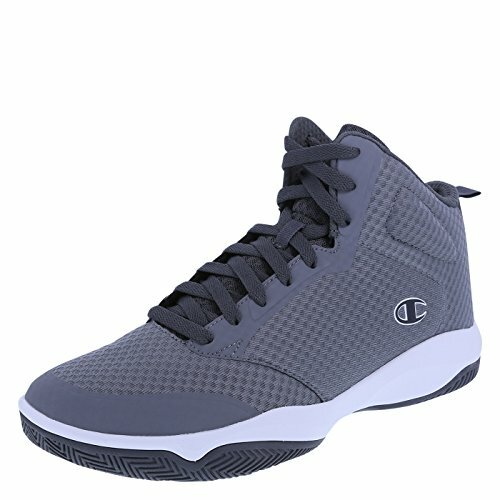 You need a shoe that will help you deliver, transforming your energy and helping you instead of working against you as you dodge opponents and sink jump shots. The shoes on this are highly recommended, as they provide the support, rebound, and movement that players need to deliver. Keep in mind, however, that finding the best basketball shoes for jumping has a lot to do with knowing what you need to make your feet perform on the court. “How the Jump Shot Brought Individualism to Basketball.” https://www.newyorker.com/news/sporting-scene/how-the-jump-shot-brought-individualism-to-basketball. 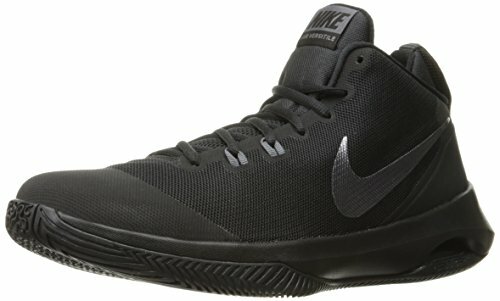 “How to Pick Out Basketball Shoes.” https://www.wikihow.com/Pick-out-Basketball-Shoes.